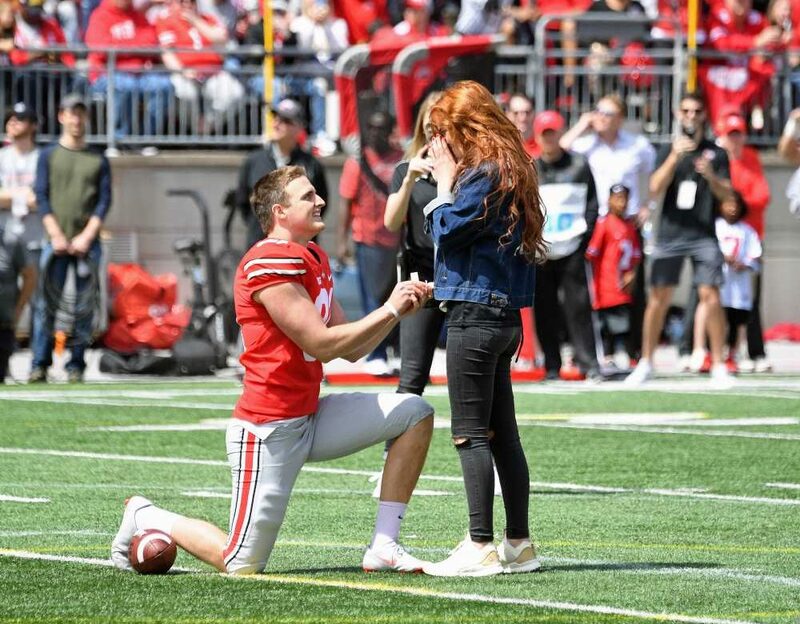 Ohio State punter Drue Chrisman made good use of the spring game on Saturday by proposing to his girlfriend Avery Eliason at halftime. The proposal happened around the 10-yard line of the South end of Ohio Stadium in what was built up as a kicking competition featuring Eliason with Chrisman as her holder. There was never a kick made, however. While on his knee as the holder, Chrisman pulled out a ring and proposed. Upon Eliason saying “yes,” the pair were mobbed by their teammates. BTN’s cameras were on hand to capture the moment. Congratulations, Drue and Avery! MANY happy years to you!